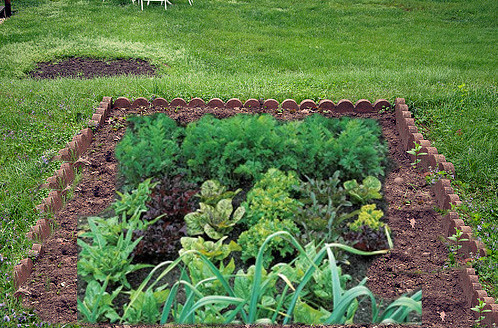 Remember our garden project? 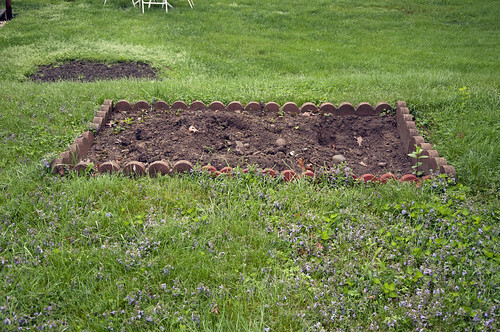 The sad patch of rocky soil that looked more like a pit than a potential home to healthy veggies and herbs? Hahaha. OK. That was a REALLY lazy attempt to trick you. We didn't get to working on the garden last weekend. We had all the best intentions to. Saturday afternoon turned out beautifully sunny. But we had movie plans with some friends. By the time we got out of the theater, it was POURING. Strike! Then on Sunday, it was iffy on and off all day. This weekend doesn't look promising as it's my high school reunion. (10 years!) I have Monday off for the holiday weekend, though. So, we'll see if we can squeeze garden time in there somewhere. We need to get those herbs homes -- and fast! We're also looking forward to learning some preserving processes. Like canning and freezing (it seems to me like freezing should be a no-brainer, but somehow we destroy our foods with freezer burn). Anything to gain at least a little independence from the grocery store. Plus, there's just something awesome about growing your own! 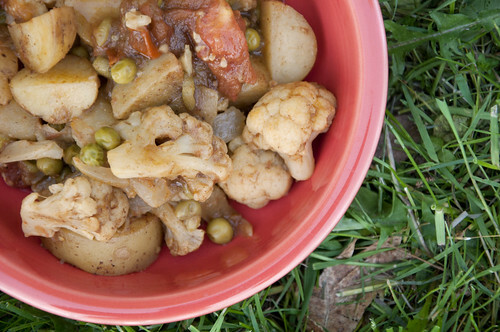 Speaking of freezer-eats, our dinner last night made use of bulk potatoes and onions AND frozen peas and cauliflower. It wasn't a 10 meals for $10 kind of masterpiece like our veggie lasagna (which, truth be told, lasted only three nights), but it served as one big meal for Stephen and dinner and today's lunch for me. 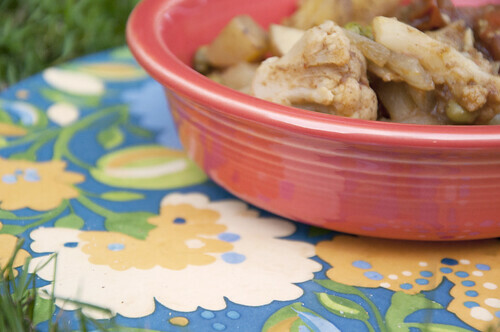 In a large pan, heat a couple tablespoons of olive oil over medium heat and add the potatoes and onions. Cook for several minutes -- until onions are soft. Add the garam masala and curry powder. Stir until well coated. Take your minced ginger and squeeze it well so just the juices make it to the pan. Then toss in the crushed garlic (I used the side of my knife to give each clove a good press). Then toss in the frozen veggies, tomato quarters, and broth. Bring to a boil, then drop to a simmer for 45 minutes. 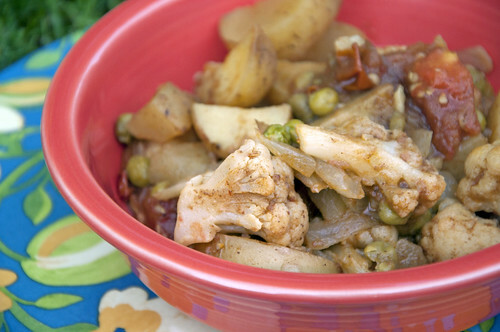 Serve with 3-hour naan, 5-minute naan, or rice. And if you're in the mood for dessert -- pregnant or not, you'll love this egg-less (so, SAFE), vegan cookie dough recipe over on (never home)maker, baby! Today's post is all about cravings, which -- for me -- have started early in my 13th week.